Picking up where we left in my previous post because it was a joy talking to you that way, I decided we should get together for tea/coffee again. For once because coffee dates with friends are always a good idea, no matter the day. About the wonderful early evening bike ride I took with my mum on Tuesday. She’d originally asked me if I wanted to meet her to take a little trip to walk around a place adorned by beautiful flowers this time of the year. Yet then she ended up having to stay at work a lot longer than expected and we changed our plans. An evening bike ride through sunny fields and along a river isn’t the worst backup plan I could think of. Add a gentle warm breeze, a conversation about anything and everything – you get the recipe for pure bliss. Pity the weather forecast from now on is seeing us face a 90 % chance of rain, a huge drop in temperatures and barely any sunshine. Summer’s been good while it lasted. Talk about an amazing website I’ve known for years yet somehow hadn’t used in a while until now. If you knew me in real life, you’d know I’ve never been one for online games or even game apps on my phone. This one I can get behind, though. FreeRice is an interactive vocabulary synonym game [edited to add: they’ve sinced added different subjects to quiz you on if vocabularly tests make you cringe ;)]. 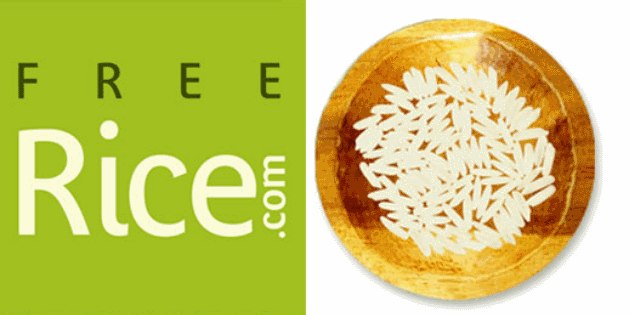 The clou: for every correct answer, the organisation behind the website donates 10 grains of rice to the poor. Refreshing your vocab and donating for the good cause? Killing two birds with one stone for sure. What’s also blissful is raspberry season starting earlier this week. No, not a typo. Ever since I can remember, my mum has been growing ‘late’ raspberries in her garden. When the season is just about over for reguar ones, these are starting to grow and they’re the best. Especially the yellow ones I’m always claiming dibs on. Definitely a reason to visit my parents’ garden more often despite it being mosquito territory. This sweet happening is ever so slightly making up for the sad kabocha situation. Mention that I might be the last person to do so but watched P!nk’s Video Vanguard acceptance speech about her daughter earlier today. Whatever you think of her music, that performance was amazing. I’m not sure if it’s a general trend but I thought these acts of female empowerment might have become more frequent since a certain not-to-be-named moved into the White House? It’d proof the theory a former head teacher of mine brought up: Having a mutual enemy at times works wonders for solidarity, even among people who might not usually agree on other issues, Whether or not it’s this: it’s much in today’s society. If we were still sipping on our beverages now, I’d express the disbelief and sadness I feel regarding the current situation in Houston. Being one of the lucky ones who haven’t been affected by natural catastrophes before, I can’t imagine what it must be like for the many people who are. When things like this happen, it sometimes feels unreal to me that I can go on about my days as usual while others are going through extreme hardship and losses. Even writing a casual blog post almost seems … wrong. And now for the question that’d actually have been my first one: How has life been treating you lately? The good, the bad – whatever is on your mind. Joining Amanda for the weekly dose of thinking out loud. Happiness-inducing today: The [likely] final day of amazing summer weather. What would you tell me if we were having [insert beverage of choice] today? The end of summer always brings up lots of feelings for me. While the sunshine and warmth of mid-summer days brightens my mood and lightens my thoughts, the shorter and colder the days get, the more melancholia sweeps in. Resentment about chances passed and not taken because there always seemed to be so much left of summer – until there suddenly isn’t anymore. Longing for a move, a different job. Melancholy, thinking about summers past when this was the time of the year school or later on university were about to start again. A time of change and the excitement it brings along – something I’m craving in my own life, too. Monday felt like the first day of autumn and I wasn’t neither a fan nor prepared when I headed for work, dresses decidedly summery. Oh summer, please come back and stay with us for at least a few more weeks. Will you, please? That we celebrated my dad’s birthday with pretty much the whole family the other weekend [i.e. 10th through 12th of August]. It was a big gathering and really nice celebration despite the weather literally raining heavily on my dad’s parade. Nothing that would have dampened our overall mood, though. The family spent the whole weekend together and friends joined for the ‘official’ celebration – concert (one of my relatives is a jazz singer), dinner, dancing – at one of my parents’ favourite restaurants. Given this isn’t the most accomodating place for vegetarians, I, I wasn’t expecting much from the buffet. involved eating the most amazing vegan lentil ratatouille that I’m set on recreating. So good. No pictures because I apparently got so lost in a conversation I didn’t even think about it. Mmh. It was a hit with my whole family and my colleagues – I brought a few leftover pieces to work – despite it being a ‘healthier’ option. We have a winner here and I’m keen on trying to find a good sub for the egg here because I want to have my [cheese]cake and eat it, too. If you have any ideas – Aquafaba? Flax eggs? More cornstarch in the filling? – let me know in the comments. Egg-free cheesecake has to happen. that I bought a new cake pan. This is an accomplishment both for the fact I spent money on myself without much contemplation and for the fact it’s my first 8 × 8 inch pan. Now this might not sound exciting or special to you but we simply do not use these size pans around here. Try finding one of them in stores – or spare yourself the frustration and order it online. Now I just need to decide on the first recipe to bake in my shiny new pan. Anybody else finding those ‘first time’ uses weirdly … exciting? Tell you that I harvested the first kabocha of the season in my mum’s vegetable patch on the weekend. Yet also that it’ll also have been one of the last. For some unknown reason, my mum’s kabocha plants – she’s been sweet enough to grow them for me for years now – are dying prematurely, leaving just a handful of mature squashes. It’s particularly sad as kabocha is very hard, at times impossible to find in stores over here. And then – or actually as the very first thing; we had this conversation in reverse order – I’d ask you how -you- are. How you really are. Because I deeply believe that a true friendship is built on sharing the good and the bad in life with each other. No need to pretend there was sunshine where you currently feel clouds hanging over your head. So: How are you? Joining Amanda in letting the thoughts dance today. Happiness-inducing today: Reading out in the sunshine after work – it’s colder but not yet too cold for this. Coffee or tea? Which kind/flavour? Oh hello there! Yes, it’s been a while since we ‘talked’ again. Now I could come up with a dozen and the some excuses but I don’t think that’s cool so no. Life has been happening. The good, the bad. Blogging didn’t and yes, I missed it. So until I come back with fresh posts of my own, here’s some of what made me think, smile or get hungry from all around the blog world lately. If you’ve read any share-worthy posts lately, too, let me know in the comments. Unsure if you’re making a decision because you want to or feel like you should? Reflect on your intention! Yes, if caring for the environment, being more relatable for your readers and sharing what you actually like and wear makes you one. As in: not.at. all. In a world infested by diet culture, this was sweet and encouraging to read. Disordered or Healthy?–questions to help uncover your motivation. via Naomi: Why Roots? Similar to the post on Delish Knowledge, this one offers a great toolkit to figure out your motivation for ‘healthy’ choices or where they might cover up disordered behaviour. No need to be a fan of or even having watched the series: these are great takeaways for everyone. What if we all asked ‘how are you?’ and actually meant it? Quoting a commenter here because she summed it up so well: “Love wins. Truth wins. Hate and fear are profitable.” Let’s spread love to trump hate. Sounds familiar? Ego depletion is very real but there’s a way to work around it at least most of the time. Some simple ways to calm down when your anxiety keeps your mind spinning and hinders you from doing just about anything. Because we can’t go back in time ourselves but learn from others mistakes and experiences. RDs, nutritionists and health coaches- Let’s face it: all those different terms are confusing. Another great post by Sarah outlining the differences between the various health experts plus when to consult which one [and whom not to consult ;)]. Full-time bloggers will definitely nod their heads while reading this and want to forward this to anyone ever asking annoying questions. If you haven’t had fresh polenta before, you’re in for a real treat and this version sound a-mazing. Why mess around with finicky rice paper when you can have the same delicousness in a less stressful way? Brimming with fresh raw vegetables and drizzled with peanut sauce these look so good. Store-bought versions usually contain a hefty amount of sugar so this one sounds a million times better. Move over, Kellogs. You can’t compete with these perfectly acceptable-for-breakfast-yet-still-dessert-y bars. The one ‘ingredient’ that unfortunately accompanies way too many meals for way too many people these days. Just like health comes at every size, eating disorders do, too. And just because somebody has gained back to a healthy weight doesn’t mean the struggle inside is over yet, either. A thorough walk through what true health looks like in all areas of life and why it’s not as ‘simple’ as some people might think. This really is such a sad and in a way oxymoronic to the image of health and sustainability we believe we’re investing in. Are you able to sit and really get in touch with how you’re feeling, even if uncomfortable? Kylie also shares an interesting metaphor on how the same concept can be applied to recovery. Intuitive eating is for everyone [because it’s how we’re naturally wired to eat, duh] but there are a few exceptions when we need to take a few intermediate steps before starting the actual journey. Shaking out routine up just a little every now and then can make a huge difference. The amazing point in life when food and decisions surrounding it are no longer dictating any part of your life. So much yes! I’m admitting it can be a scary break-up, possibly with occasional steps back, but so worth doing. Hearing ‘big’ bloggers honesty about the stories we don’t see behind their posts always brings back some of the reality we so often miss online. Wonder why your bills are high? These are a good reminder for how the ‘little’ things we mindlessly spend on can really add up. Yes, I’m aware it’s not apple season yet but I stumbled upon this and couldn’t get it off my mind. Plus, who doesn’t like apples?! Sounds decadent but is actually made with natural sweeteners and given there are beans it’s essentially a salad, right ;)? Being a huge fan of both savoury breakfasts and chickpeas in general, this sounds immensely satisfying. You know a salad’s looking promising if I – the non-salad vegetarian 😉 – find it enticing and this one definitely fits the bill. Flavourful and garlicky tomato soup with cheesy breadsticks? Sign me up. Happiness-inducing today: Repeat offender but … having P. around. I can never get enough of his cute personality. Oh hi there! It feels like forever since the previous time this little blog here saw some action. Avout time to change that. eh? Thursdays always feel like the perfect opportunity for returns from [un]ntentional breaks. The day we’re wholeheartedly encouraged to just share some random thoughts, no further explanation needed. So here’s getting back into the game with a few current truths in my life. This post was supposed to go online – and get written – yesterday already but then my sister and P. arrived at my parents’ a day earlier than expected so … priorities ;). As much as I love – look at me making an exception and using this word – the little boo, I had to resort to my cheater ways when he wouldn’t stop crying for his Mama during babysitting time. Sometimes, a sleeping toddler is cuter than an awake one. Anybody agreeing? One of the main reasons I haven’t been posting a lot anymore these past weeks is that right now is a time in my life that wasn’t made for sharing. It’s not my intention to appear as a negative Nancy yet I also didn’t want to paint my days in brighter colours than they actually are right now. That’s still not to say I didn’t have my happy moments. Just that my heart overall has been feeling a little heavier. We don’t need hundreds of friends if we do have a few really good ones. Meeting one of this amazing kind on Friday evening was a definite highlight of my week. She’s a friend from school days and has the ability to both make you laugh and pour your soul out to, building you up while sharing her own insecurities and struggles. I’m not a small talk person – well, most of us Germans aren’t – so these deep conversations are my favourites. Despite having done my fair share of healthier baking before, I was doubtful of the success when I sent my sister the link to this Peach Streusel Cake. You might remember my family being super picky and critical towards healthified baked goods. And my sister might want to eat a little healthier but she still won’t eat anything she doesn’t like [which I can honestly fully understand]. Verdict? It’s her new favourite cake. … and that’s it for me right now because – truth be told – it’s pretty late already around these parts and I need to make an effort at getting to bed earlier still. See you on Sunday for some good good links! Happiness-inducing today: Sunshine. Time with the family. Tell me some truths from your life!